If you are looking for a caravan retail trade centre, we recommend Campers Caravans. They are based 5 minutes from our dealership on Blackpool Road (just past the Ribby Hall roundabout). 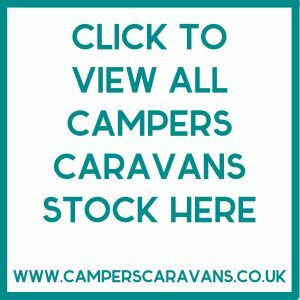 They stock caravans covering many layouts, budgets and specifications. In the rare cases they don’t have anything on site that meet your specification, they are adept at finding the model you’re looking for within the UK. The Campers Caravans Retail Trade Centre offers used caravans suitable for trade partners at great prices. Each model that arrives on the forecourt is expertly assessed, so we can be totally confident that you will get a fair and transparent price based on the vehicles value and condition. They are our preferred trade partner. If you are looking for a particular model just let us know by emailing Kim Gardham at kimg@camperscaravans.co.uk. 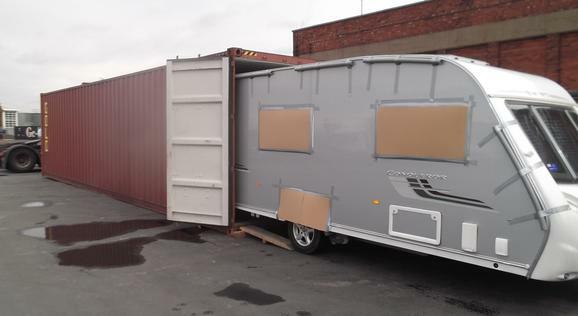 We are experienced in shipping caravans overseas from the UK, particularly to South Korea, New Zealand and Australia. The past few years have seen a huge increase in demand for UK caravans overseas. Luckily, our reputation abroad has grown at a similar rate, and we are enjoying recommendations and returning customers as well as new enquiries. Our 7 acre site means we always have a huge variety of models in stock, from all major UK and European brands. We pride ourselves on offering choice to suit all needs and budgets. Send us your requirements and we will assess our stock for you, to save you time and effort. We want you to have full confidence that the product you’re buying is right for you. Sometimes even the most comprehensive set of photographs don’t give the full impression of what a particular model has to offer. That’s why we can offer 360 tours of our stock, as well as video calls, so you can explore your choices from your own home before making a decision. Please feel free to request a 360 tour on any and all models you are considering. With our trusted shipping partners, everything you need to get your purchase across can be organised quickly and efficiently, in accordance with customs and trade regulations. We only partner with companies with an established history and great reputation, so we can ensure that our overseas customers are happy and informed about the progress of their delivery at all times. We can organise a to ship to a port convenient to you, and will work to get the most cost-effective and efficient route possible. 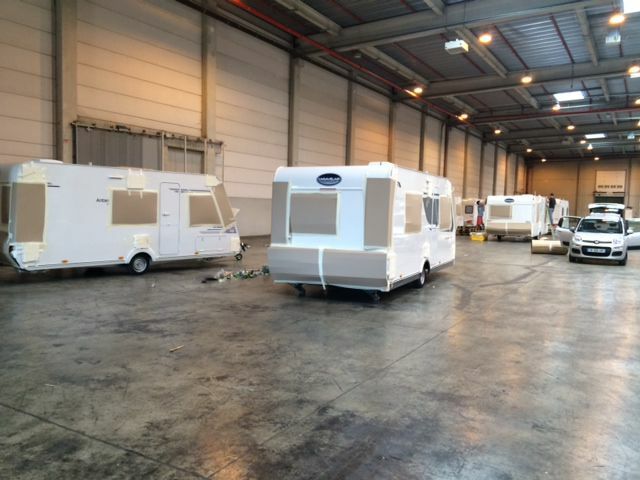 We know the importance of taking good care of a caravan in transit. Each model is carefully packed for it’s journey, so it will arrive at your port exactly as it left ours. If there are particular accessories you would like for your caravan, including awnings, we can supply these along with your caravan. At our dealership we have a large accessories store and awnings showroom, so we have plenty of stock available. If you are unsure what you might need for your caravan, just let us know and we will be happy to make some recommendations. nt documentation so they can pass through customs etc without issue. If you have any queries or would like to take a look at some of our vehicles in stock, simply email Kim Gardham at kimg@preston.cm.co.uk for further information. Selling your caravan or motorhome? We’ll take all the hassle out of selling, with our buying service. If you are considering selling your caravan or motorhome, give us a call. We’ll give you a quick, FREE evaluation (subject to visual assessment) and offer you a fair price. It couldn’t be simpler! There are no seller fees or hidden charges, so you can be confident you are getting a good deal. We have cash available for immediate payment. Plus, after the sale, we’ll take responsibility for warranty issues, so all you need to do is figure out how to spend the money from the sale. My caravan/motorhome has a few faults, will you still buy it? We will certainly consider any vehicle that is for sale, and will still offer a fair price bearing in mind any repair costs we’ll need to make the model suitable for resale. Make sure you list the faults when requesting a quote (with pictures if possible) so we can be accurate in our offer to you. We frequently deal in used stock and leisure vehicles suitable for trade. So we are always on the look out for models to add to our 7 acres of choice. Call us on 01772 685949 or email kimg@prestoncm.co.uk for further details.